Waterloo, Ont.-based RIM said on Tuesday that the device management software should arrive in the late March. Though the company declined to provide a price for the application, RIM vice-president for enterprise product management did say that it will be "competitive" with rival offerings. According to the announcement's press release, RIM is looking to "bring together" its BlackBerry Enterprise Server technology for BlackBerry devices with mobile device management (MDM) capabilities for iOS and Android onto a single web-based console..
Reuters reports that Mobile Fusion will help "corporate IT staff to set and monitor rules for passwords, apps and software on a range of devices," including Apple's iPad and iPhone and devices running Google's Android mobile OS. "What our enterprise customers are looking for, and the opportunity for us, is to become the de facto platform," Panezic, told the publication in an interview. Panezic went on to say that the company would take "full advantage" of security capabilities on each platform. "We're not going to hold that back in any way, shape or form," he said. According to the report, the software "will manage RIM's PlayBook independently from" a BlackBerry smartphone, though that will require a PlayBook software update, which is due out in February. 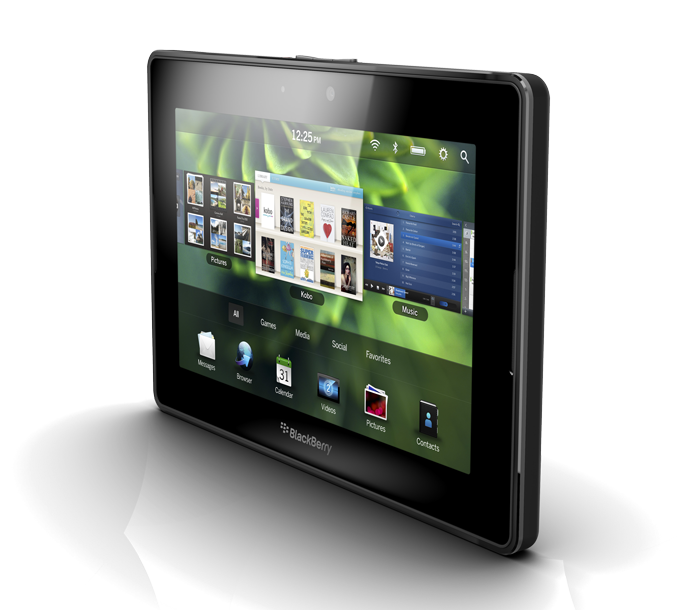 RIM released the PlayBook this spring, declaring that "amateur hour" was over, but the tablet has failed to gain momentum. Some analysts were skeptical of the move into the multi-platform MDM marketplace. "It will help stem the tide of those companies that may have considered eliminating their BES but it won't help sell more phones," said Gartner analyst Phillip Redman. "That's what they really need to do." RIM made a name for itself selling its BlackBerry smartphones and accompanying services to businesses and their employees, but the company has faltered as of late. Recent reports suggest that Apple has chipped away at RIM's core business as enterprise clients have increasingly taken to the iPhone and iPad. Recent data from Good Technology, an enterprise security solutions firm that RIM's Mobile Fusion will compete with, shows that enterprise users have a "clear preference for Apple products," though Good's numbers do not include RIM devices because they use RIM's BlackBerry Enterprise Server. Earlier this year, investors called for the ouster of Mike Lazaridis and Jim Balsillie, RIM's co-CEOs and co-founders, characterizing them as "stuck in the past." In order to appease investors, the company formed a committee to investigate its corporate structure. The handset maker announced in July that it would cut around 2,000 jobs, about 10.5 percent of its workforce. RIM disappointed Wall Street with shipments of 10.6 million smartphones and 200,000 PlayBook tablets last quarter, as profits slipped 47 percent. According to comScore, RIM lost 5 percentage points of U.S. smartphone market share between May and August of this year, falling to 19.7 percent. Embarrassing outages for RIM's BlackBerry services have not helped the company's cause. Last month, an outage that lasted as long as four days prompted RIM to formally apologize for the downtime and offer customers $100 worth of free apps. Weeks later, RIM revealed that it was investigating more complaints of user service troubles. With just $1.4 billion in cash as of last quarter, RIM is scrambling to turn itself around, betting heavily on its BBX operating system. A recent leak purportedly revealed the "BlackBerry London," the first BBX-based smartphone. The device is expected to arrive in June 2012.